Welcome to the North Carolina Railfan website! 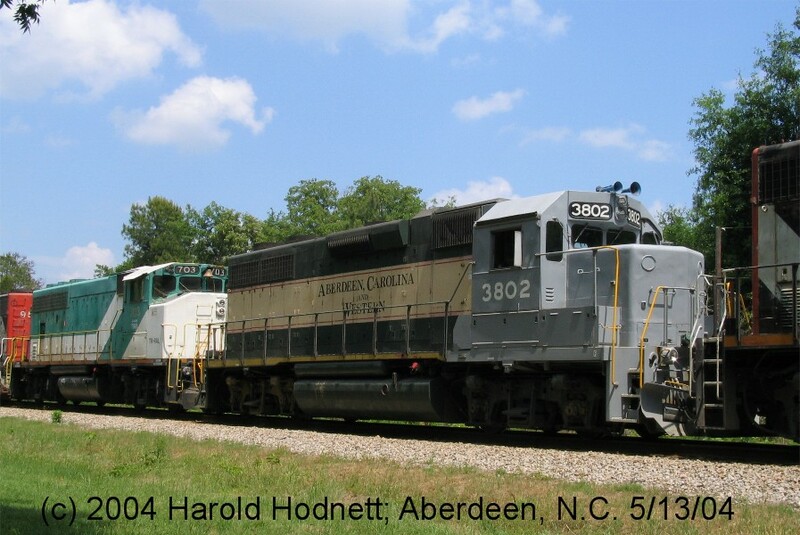 Welcome to the North Carolina Railfan webpage, sponsored by TrainWeb. This site is a showcase for some of the thousands of train photos I have taken in and around my home state of North Carolina. Note that this site is currently under redevelopment; all prior photos are being resized and / or replaced by newer, better photographs. My target size for photographs is around 100kb, so dial up users may need patience. This is a railfan website dedicated to photography, and is such is not endorsed nor approved by any railroad. All photos were taken from public property or with permission from private property. Logos or paint schemes may be copyrighted by the individual railroad. mail to ncrailfan@hotmail.com with questions or comments about this web site.